If you have moved your files to the trash then they don’t get completely eliminated and all your personal information will be still at risk. The protection of your personal data is our first priority and we make sure that we leave no stone unturned to make this happen. So, whenever you don’t require your laptop or computer, we ensure that all the data is removed. 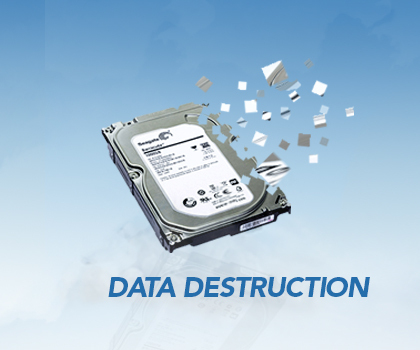 The question comes why data destruction is important? It is basically necessary to destroy the data as any kind of leakage can actually affect the reputation of your company. And, leaked information can also cost a lot of money to your company if your competitors will know about it. We provide various data destruction services which include the shredding of hard drive and also the hard drive rewriting. We can actually make this happen in your office or in our secure laboratories. There are also instances when it is not possible to terminate the data, in such instances we provide the services of top-grade data destruction services. We also have an advanced shredder which can easily shred any kind of unwanted devices into small pieces. This ensures complete termination of the data.